Hello, hello! 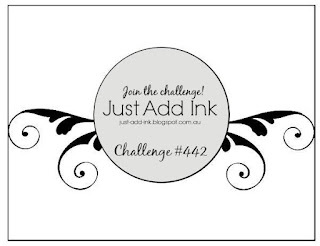 Welcome to the new Just Add Ink Challenge #442. A fabulous sketch suggested by fellow team member, Kim Badelt. It's an awesome sketch with so much scope for interpretation. I've pulled out the Stampin' Up! Sale-a-bration set, Lovely Lattice, for my take on the sketch. Lovely Lattice is one of the items, on offer, that you can earn for FREE in the 2019 Sale-a-bration promotion. How gorgeous is it? 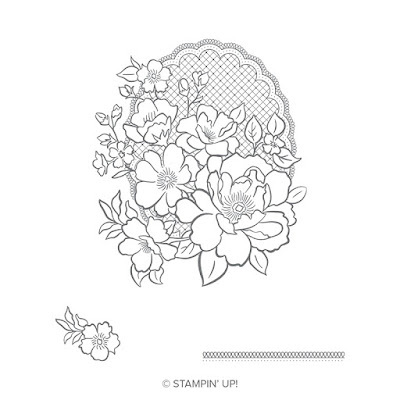 I love this stamp set, not only because it's super pretty but also because I can do one of my favourite card making techniques, colouring with Stampin' Blends alcohol markers. Yay! Got to love stamp sets where you can add some colour! 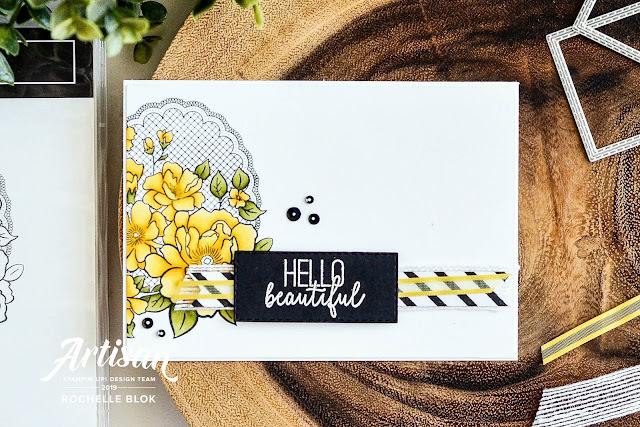 I only stamped a portion of the larger lattice image in the corner of the Thick Whisper White cardstock with Memento Tuxedo Black ink and then coloured the images with the Daffodil Delight (Dark and Light) markers and the Old Olive (Dark and Light) markers. Because there are no sentiments in the Lovely Lattice stamp set I used the sentiments from the Butterfly Gala Stamp Set. 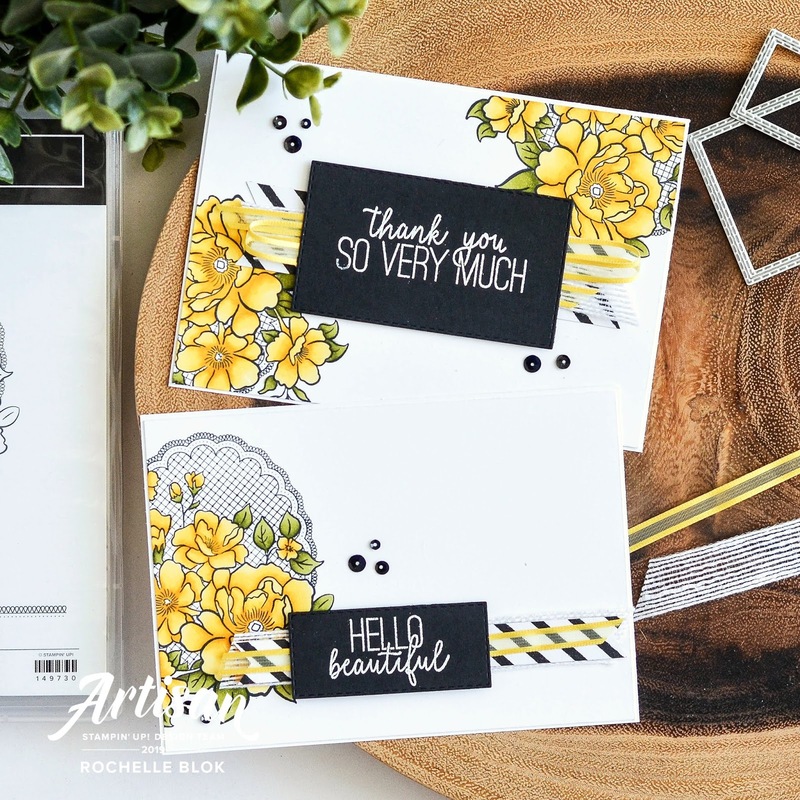 It would also look good to maybe use the new Well Said Stamp Set and the Well Written Framelits Dies to add some sentiments with this Lovely Lattice stamp set. 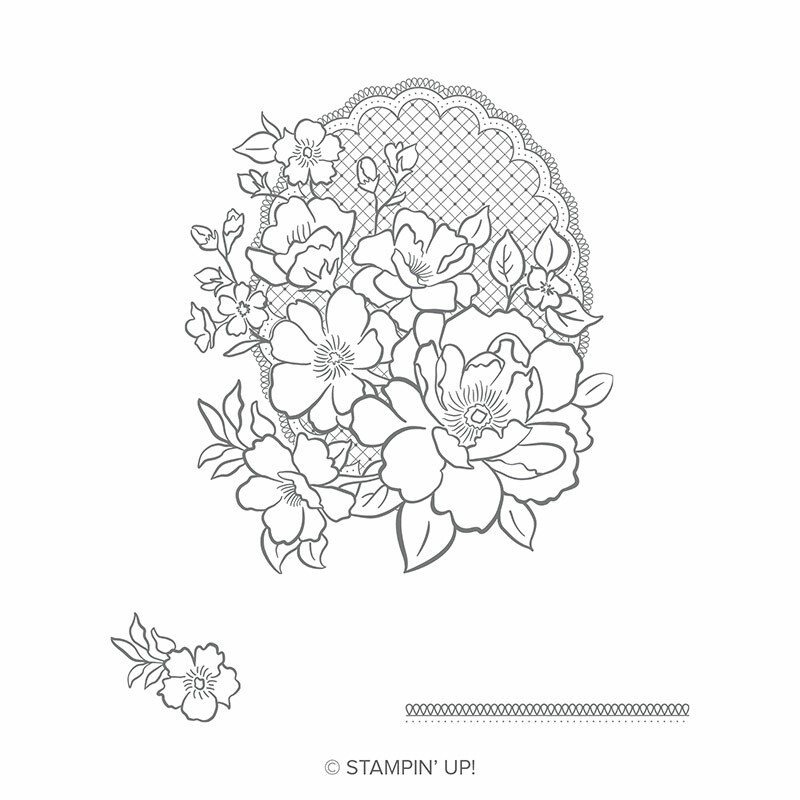 I was really enjoying the colouring process with this stamp set that I stamped the larger lattice image again to give another idea as to how you can use this stamp set. Love the partial stamping of this image. Might have to try it with different colours. Will give it a whole different look and feel. To go with the cards I've teamed up with the Whisper White Flax Ribbon, Botanical Butterfly DSP (SAB free item), Daffodil Organdy Ribbon (SAB free item), Rectangle Stitched Framelits Dies and Black Sequins from the Metallic Sequin Assortment. 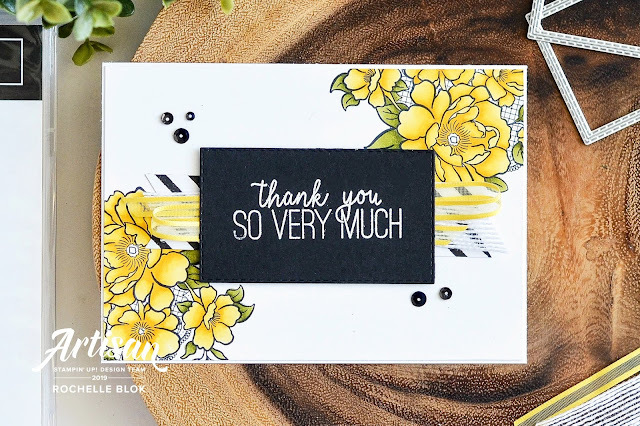 I really love the bright white background and then the bright pops of colour from the Daffodil Delight and the Old Olive, and then the gorgeous contrast of the black elements. Pretty! If you want to get the Lovely Lattice set for free, place a $90 (not including P&H) with me HERE and you can choose this gorgeous set for FREE!! There are plenty of other gorgeous and amazing designs by the team this week with their take on the challenge sketch. 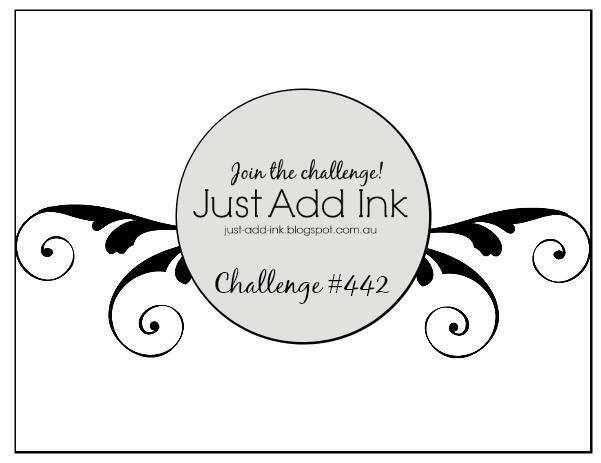 Do pop on over to the Just Add Ink Blog and check them out! Oh my ... it's so vibrant Rochelle! It's amazing how much I like what you are doing right now. There is so much light, detail and depth to your creations! All three versions are great and it's hard to pick one. Thank you for the inspiration ! I love how you've given this stamp image a really modern look, Rochelle. The pops of yellow are gorgeous teamed with the black & white.